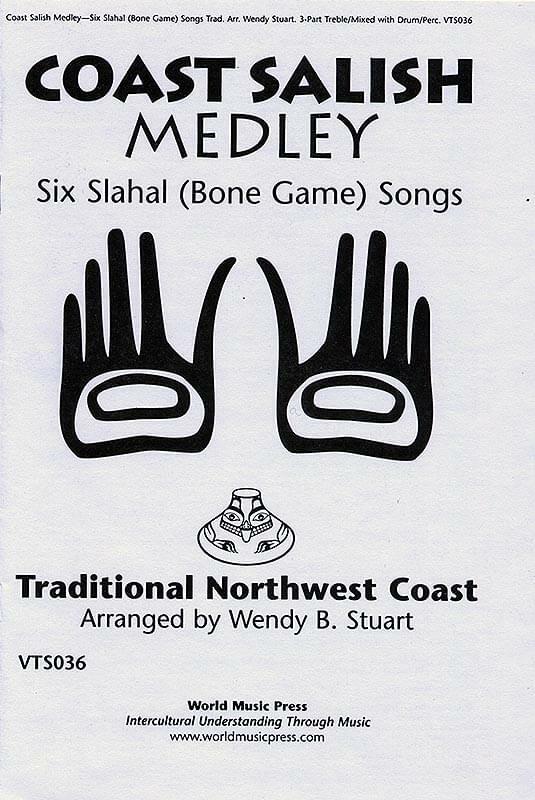 This is a medley of six traditional "slahal" or "bone game" songs from the northwestern coast of the United States and Canada, arranged by Wendy Stuart, author of Gambling Music of the Coast Salish Indians. Intensity builds throughout the performance of these lively songs until they hurtle along, almost spiraling out of control, to an exciting conclusion! Included are basic bone game instructions and cultural context. 3-part treble/mixed; drum/percussion parts. Visit MusicK8.com for more World Music resources.